The Montenmedio golf course, located in Cadiz, is considered one of the top 20 golf courses in Europe according to a survey made by worldwide golfers over 6,974 golf courses. Marbella September 13, 2011. A survey organised by Albrecht Golf Guide magazine is on their website: www.1golf.eu and was made to know which are the most famous Golf courses in Europe. 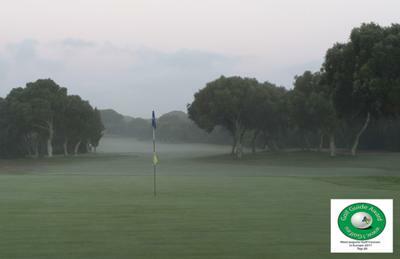 Montenmedio Golf & Country Club is in the top 20 Golf Courses at 18th position. This survey has been made over 6,794 golf courses in Europe by worldwide golfers, and this fact convnices us that Montenmedio is among the best golf courses in Europe - as commercial interests haven’t affected this survey. The Montenmedio Golf Course (6,260 Metres 18 holes Par 72) designed by Alejandro Maldonado is also considered by professionals and experts as one of Europe's finest golf courses, where nature is respected and the beauty of the countryside combines with spectacular views of the white villages, the Cádiz Sierra, the Straits of Gibraltar and Africa. The 18 holes are played on wide, carefully tailored fairways, bordered by Mediterranean forest, requiring precision and accuracy to keep the ball in play. It is perhaps the most natural golf course you have ever played, but be careful: the greens are like mirrors, and the greens and bunkers are a constant challenge. If you are interested in the full list, you can download it on Montenmedio Golf & Country Club website.